Project Management, Requirements Engineering and Development. 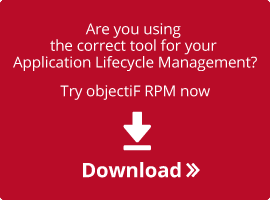 A complete solution for the application life cycle. Project, cost, and technology risks, strategy and personal risks – they all have effects on the application life cycle. Requirements need to be assessed for risk ahead of time. 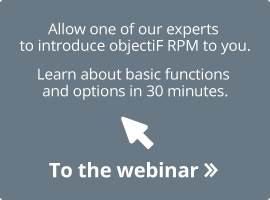 objectiF RPM makes relationships between requirements and associated risks clear and traceable. You can decide the information you would like to document for risks. This includes, e.g., priority, likelihood of occurrence, and damage control measures. This means that it’s easy to carry out a risk assessment. Don’t forget traceability, so that risks can be linked to requirements. This means each risk is version-controlled. 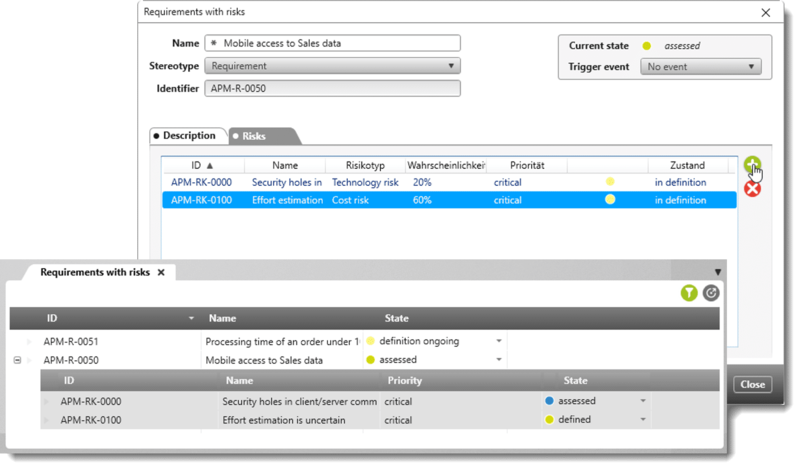 The connections between risks and other work results are clearly displayed with special queries and filters. You can prioritize risks and thus create a list of the top ten risks. 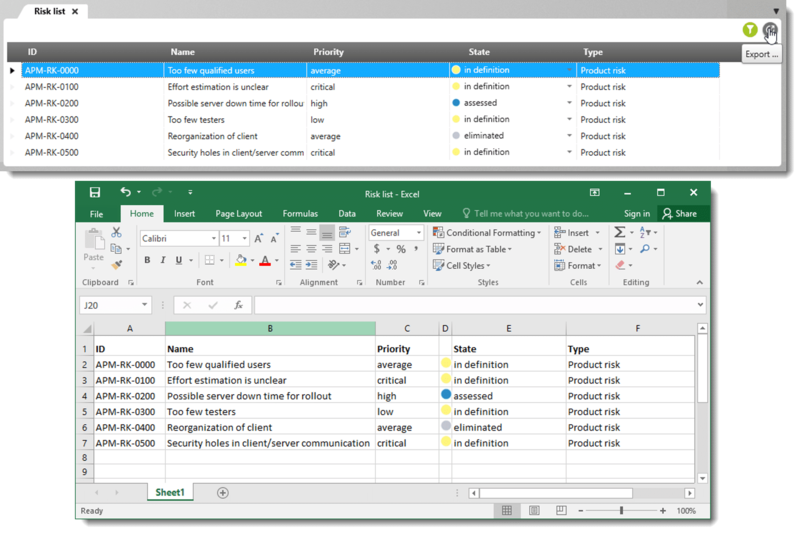 It’s also possible to export the list to MS Excel to send it to others. Some risk avoidance and reduction measures might need to be planned into the project if they require workload to be allocated to them. 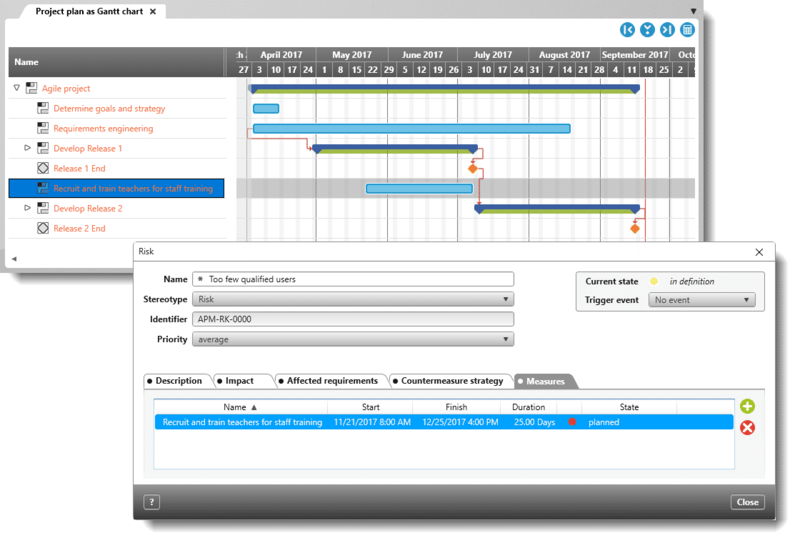 To make sure this connection is traceable, you can create relationships between risks and activities in the project plan. You can also record decisions on avoidance strategies and options for risk reduction for every risk.